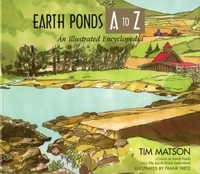 Earth Ponds A to Z is a fully illustrated encyclopedia of more than 200 terms and concepts. Ideal for the rookie, or the veteran pondmeister Who wants to learn more. 225 pages. ORDER TODAY! (price includes shipping and handling).